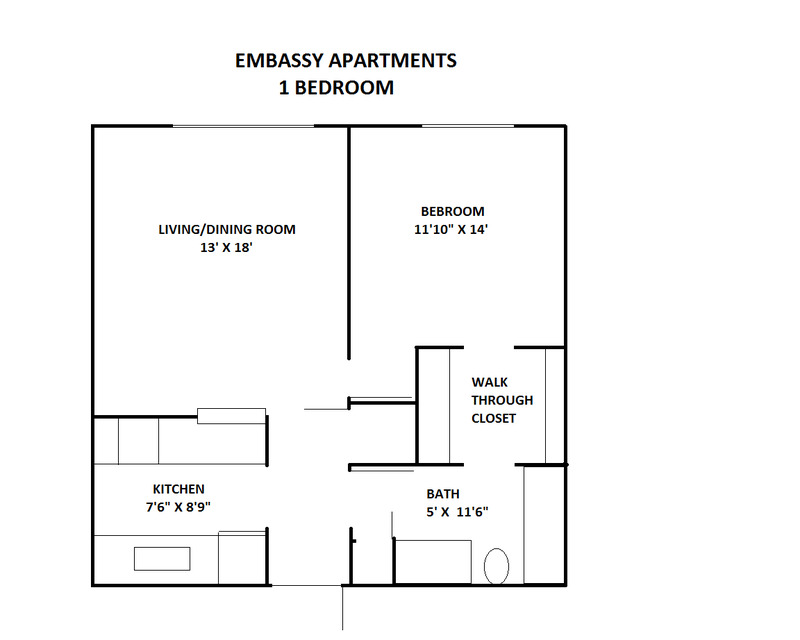 Located at our Embassy Apartments, 302 N. Hubert Ave.
$50.00 Application Fee. $150.00 Admin Fee. ONE AVAILABLE: Apartment 117 AVAILABLE NOW. 2nd floor, 705 sqft Remodel for $1,299.00 + $63.00 water/sewer/trash = $1,362.00 Galley style kitchen with white cabinets and white appliances including a dishwasher. Breakfast bar. Wood Plank flooring throughout apartment. Large double sided walk thru closet between bedroom and bath. Large picture window in living room. Fenced Patio. Central AC. washer/dryer.